Heather is always up for a challenge. Perhaps this is why she specialises in, predominantly, helping accountants and lawyers market and sell themselves. Either to profitably grow their practice, take the final step up to partner or create work-winning conversations with new clients. You know, the really difficult bit, how to actually kick the door down to get a meeting with a potential client. 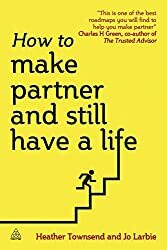 She's an award-winning author of four books: 'The FT Guide To Business Networking', 'How to make partner and still have a life', 'The Go-To Expert' and 'Poised for partnership'. Her books have sold over 20,000 copies globally and been translated into over six languages.